Driver disability laws vary by state. It is important that you know the rules and regulations not only for the state in which you live, but also for states that you might visit or travel through. How do I know if I am eligible for a disability license plate, sticker, or placard? If you suffer from one of these conditions, your next step is to visit a licensed physician and to have that physician verify that you suffer from one or more of these conditions. A licensed physician in the state of Iowa may include a chiropractor, podiatrist, physician’s assistant, or an advance nurse practitioner. Iowa has a unique rule that you may have a licensed physician from Iowa or one of the contiguous states certify that you are disabled driver. The contiguous states to Iowa are Minnesota, Wisconsin, Illinois, Missouri, Nebraska, and South Dakota. 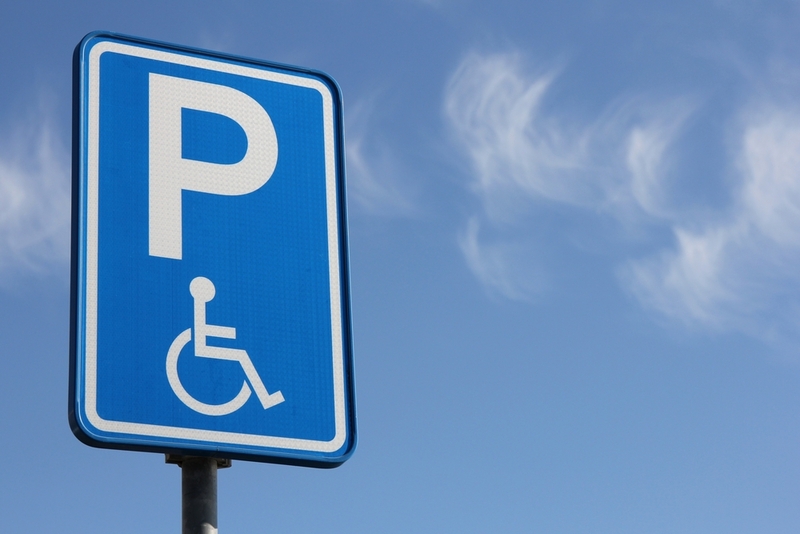 How do I apply for a disabled driver placard, license plate or sticker? Your next step is to complete the Application for Persons with Disabilities Parking Permit for Iowa Residents. Please be sure to have your physician complete the section that verifies that you do in fact have one or more of the eligible disabilities. How much is a disabled driver placard, plate, or sticker? In the state of Iowa, placards, plates and stickers are free of charge. However, if you wish to have a personalized handicap plate, this will cost you 25 dollars plus the cost of regular vehicle registration fees. What is the difference between a license plate, a plate sticker, and a placard? You can apply for a license plate if you have a permanent disability or if you are the parent or guardian of a child with a permanent disability. You are eligible to receive removable windshield placards if you have a temporary disability, or a disability expected to last less than six months. Again, you may receive a windshield placard if you regularly transport disabled children, adults, or elderly passengers. You may receive a sticker to place on the lower-right corner of your license plate if you have a disability but you do not desire a person’s with disabilities license plate. What if I have a vehicle that is specially equipped or modified to help me with my disability? Iowa offers a reduced annual registration fee of 60 dollars for those with these types of modified vehicles. How long is my disability permit valid? You will renew your disabled license plate, each year that you register your vehicle, along with a self-certification verifying in writing that the disability still exists for either the child or the driver of the vehicle. Removable windshield permits expire after six months from the date they have been issued, unless your physician has specified a date before that time. Disability stickers are valid as long as the vehicle registration is up to date. Please note that the vehicle owner’s signature must be on the placard in order for the placard to be valid. Also, your placard must be displayed, when your vehicle is parked, on the rearview mirror with the expiration date facing the windshield. Please be sure that a law enforcement officer is able to read the date and the number on the placard should he or she need to. Can I lend my placard out to someone else, even if that person has a disability? No. Your placard must remain in your possession only. Lending your placard to someone else is considered abusing your disability parking privileges and could result in a 300 dollar fine. Also, be aware that if you do not return your windshield placard, sticker, or plate when it is no longer valid could result in a fine of up to 200 dollars. Where am I allowed to park with my placard, plate, or sticker? In the state of Iowa, you may park anywhere you see the International Symbol of Access. You may not park in areas marked “no parking anytime” or in bus or loading zones.